From left are students Avalynn Pugh, Samia Alrawashdih, pianist Thomas Pandolfi, students Lily Willcoxen and Luke Sisson. 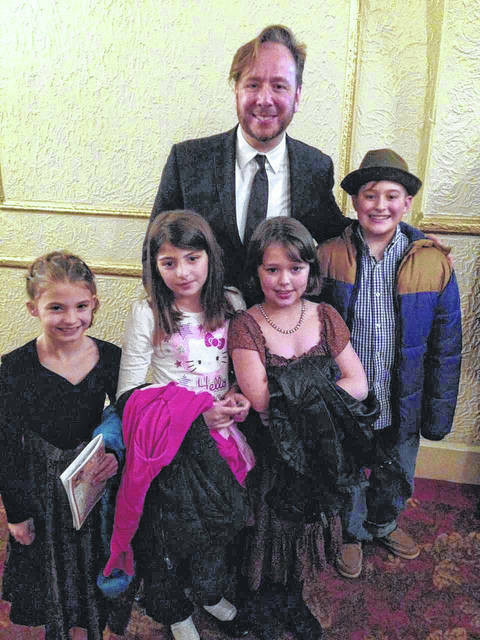 Washington Elementary students were treated to the Ohio Valley Symphony and Thomas Pandolfi at the Ariel Opera House in celebration of Music in Our Schools Month. GALLIPOLIS — Washington Elementary students had a special opportunity to celebrate Music in Our Schools Month. Wills explained that Music in Our Schools Month also allows students to showcase their ability and celebrate music as an art form. 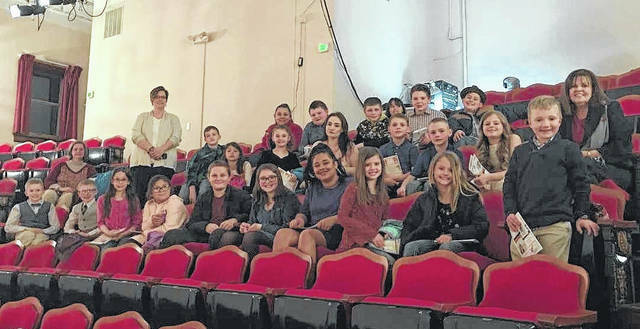 Students that showed excellence and effort in music class were awarded with tickets to see the Ohio Valley Symphony and renowned pianist Thomas Pandolfi at the Ariel Opera House. 50 students were chosen to attend the concert, although only 28 were able to attend. Students were selected from first through fifth grade. The tickets were purchased from funds made available by the Gallipolis City Schools Academic Boosters Grant Program. “I loved watching the pianist. His hands played so fast,” said first grader Lily Willcoxen. “I really enjoyed the show at the Ariel. I thought it was neat how the pianist didn’t have to look at his music. I had a great time,” said second grader Jase Hoover.